When I bought this magazine (I think it was at Elliot Bay in Seattle), my thinking went like this: lit mags; Oxford American for sure; ooh, this one has a cd; ooh, Southern music; sold. (The cover indicates that this is a “Southern music” issue. I was slow to find the Georgia-specific bit, but not disappointed.) I don’t know if it was before or after I bought it that I found the Drive-by Truckers track on the cd, but either way. I already owned this track, naturally!, but it was a good sign. It took me many months to get around to opening this slick cover, but I always knew I was in for a treat. The first content is a write-up of the 25-track cd: a few paragraphs for each, introducing (or reviewing) artist & song, and its place in Georgia music history. I put on the cd (see major digression below) and was blown away, over and over. Just to show how things circle back: track 3 is Larry Jon Wilson’s “Ohoopee River Bottomland,” recorded in the making of Heartworn Highways. When Husband and I saw the movie, this was one of the tracks we came away remembering. And now, thanks to Oxford American, we own that one, too. The point is that this musical collection and accompanying text was an extra-special treat and an education for me. Happily, as I post this, you can still buy this issue of the mag – and its included cd – here. DO IT. And enjoy the work of James Brown, the Truckers, OutKast, Otis Redding, Ma Rainey, Gram Parsons, Indigo Girls, Elf Power, the Allman Brothers, and more. Killer Mike’s untitled track 8 is one I really like. I was so overcome by admiration for this album and the careful storytelling that came with it, that I took a little break before entering the rest of the magazine. In all, it took me a full week to read; but it was a week of enjoyable, thoughtful moments. The whole issue is devoted exclusively to Georgia music, and I found this immersion really stimulating. I learned a lot more about the artists featured on that cd (and went back for another listen with better context), and about so many more. Blind Willie McTell, Johnny Mercer, Black Tusk, Hermon Hitson, Benjamin, the Rock*A*Teens, Little Richard, Beverly “Guitar” Watkins, Bessie Jones, Dave Prater, Fiddlin’ John Carson, Ray Stevens, Fletcher Henderson, the Dungeon Family, Sharon Jones, the story of Cabbagetown (referenced in the great Truckers’ song, “The Living Bubba”), and the collecting and archival work of Lance and April Ledbetter: the list goes on. I learned more about Killer Mike, listened to some more tracks, and ordered some albums. Kiese Laymon’s “Da Art of Storytellin’ (A Prequel)” hit me hard, both as a piece of communication and information, and as a piece of art. It took me a minute to figure out where I’d read this essay before: it also appears in The Fire This Time. I may have benefited from two readings, and you will too. Of course I can’t fail to mention the essay written by Patterson Hood (of the Drive-by Truckers) about Vic Chesnutt. Patterson never fails to impress, whether writing words to music or words on the page. I wasn’t always thrilled with the design decision to sometimes start the next article one column over, on the same page, from the end of the last; I felt that this distracted from the firm feeling of finish I wanted, that moment of pausing to reflect. For example, Elyssa East’s “Nudie and the Cosmic American” about Gram Parsons and Nudie Cohn ends on page 39 and, I felt, deserved a full top, but instead flows right into Greg Reish’s article about the Skillet Lickers. There is no arguing with the breadth and immensity of this issue’s content. I’m amazed at the range of experts, and the music of their voices in writing. I had to stop and consider several insights and thoughtful issues. Take these lines about the ways in which physical infrastructure and environmental racism have impacted a music scene. Today, there is little to be found of Atlanta’s colorful r&b scene. The construction of three interstate freeways in the late 1960s permanently splintered many of the city’s thriving black neighborhoods, which were further decimated by the construction of Atlanta-Fulton County Stadium, the Georgia Dome, and Turner Field. Mercedes-Benz Stadium–future home of the Falcons–has cut off access to downtown Atlanta via Martin Luther King Jr. Boulevard from the west side, which is predominantly populated by African Americans. You can still walk by the Royal Peacock on Auburn Avenue, with its vintage marquees, though the historic venue is merely a shell of its former self. Simply put, again, I learned a lot. And the writing was, if not always then nearly always, extraordinary. But I’m supposed to be reading these lit journals, at least in part, to study their forms and contents from an artistic perspective, and not only enjoying the reading experience. Obviously, when I forget to read as a writer, the work is effective. This was thought-provoking and beautifully crafted reading. That said, I did notice a few times when the writing got a little uneven. 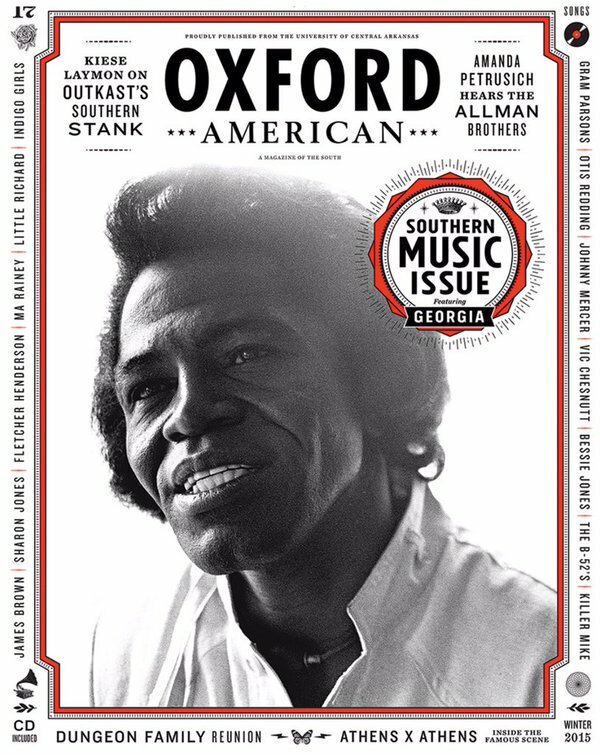 Overall, though, this is a deeply impressive issue of Oxford American, and the first thing I did when I finished reading it cover-to-cover, before writing this, was to buy a two-year subscription. (I am expecting this year’s music issue to come!!) Obviously recommended. Sounds like a winner! 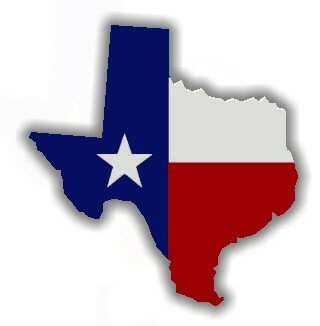 I’m thinking about buying the Texas music edition. As for your thoughts about the album as unified work of art, I thought about that when your mix played Intocable’s title song “Es Para Ti.” I love the entire thing together because it sets a mood I’ve been loving lately. So try it once, although I think that particular song is the best, and its being last makes the whole experience wonderful. Thanks for the tip! And of course, the Texas edition – I hadn’t thought to check the back-issues catalog. I’m going to buy it right now. And I can’t wait to see what this year’s music state will be. I think my subscription will start with a music issue.